After several web hosting issues during 2006, the decision was made to switch all of MetroAirâ€™s online material to our own dedicated server. The switch was made during the fall of 2007 giving uninterrupted access to our website and forum and allowing the introduction of our own ACARS system. The cost of this switch was substantial. 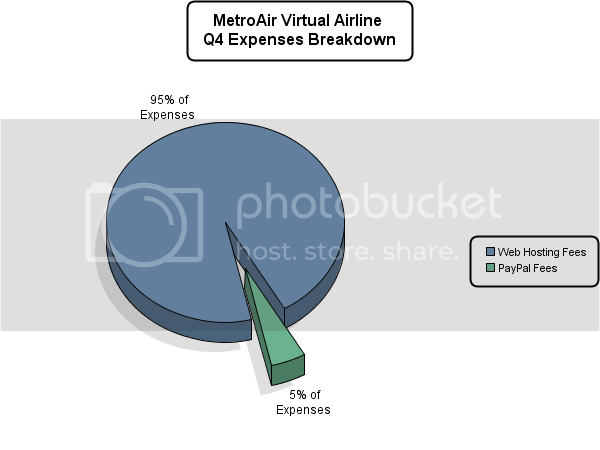 MetroAirâ€™s annual hosting bill multiplied by a factor of almost 10. Our average annual bill currently stands at around $750 USD. In June 2008, the executive management team decided to begin accepting donations to cover the real financial costs that MetroAir incurs. All donations are used to offset the costs that were previously covered by staff members. 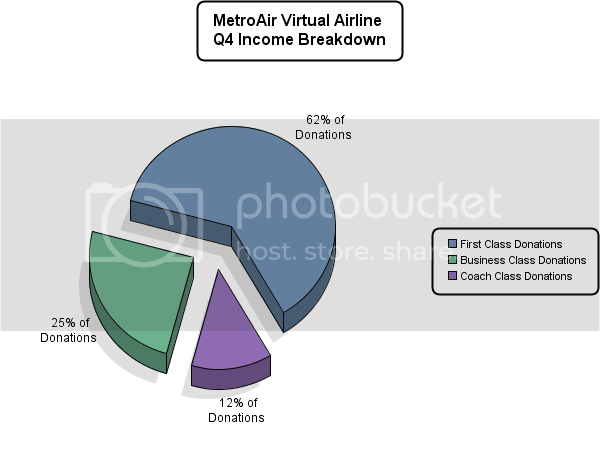 MetroAirâ€™s fiscal year runs April to March and below is a breakdown of all donations made for Q4 January 2009 – March 2009. As of March 31st, 8 MetroAir pilots made donations to our funds during Q4. The chart below shows a breakdown of each donation level. During this same period, expenses for the airline came to a total of $187.37 Below is a breakdown of our costs.